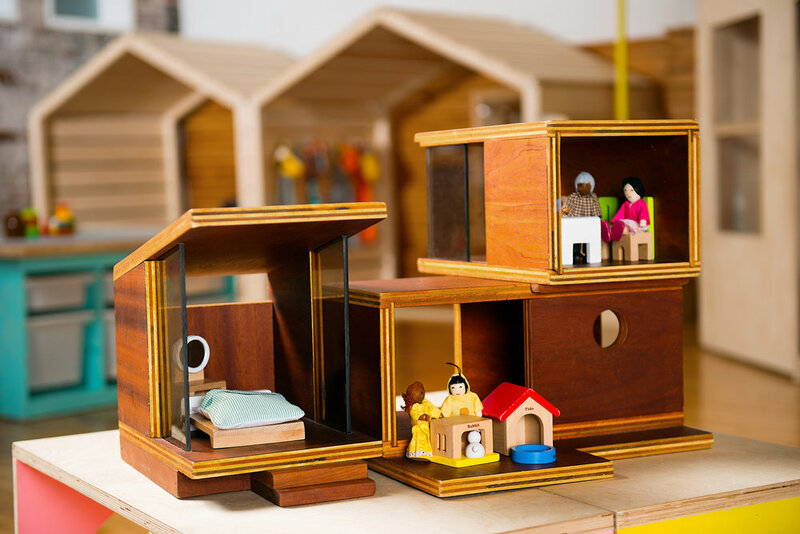 Custom built, expertly curated and designed for your child's imagination to run wild. 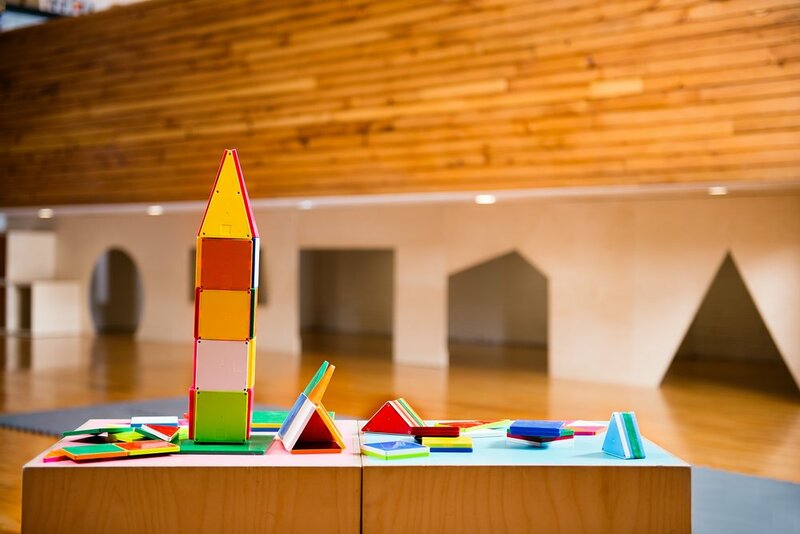 Our educators carefully curate the Montessori-style play centers to appeal to children of a wide range of age and development. Open ended toys encourage child-led, creative and imaginative play. 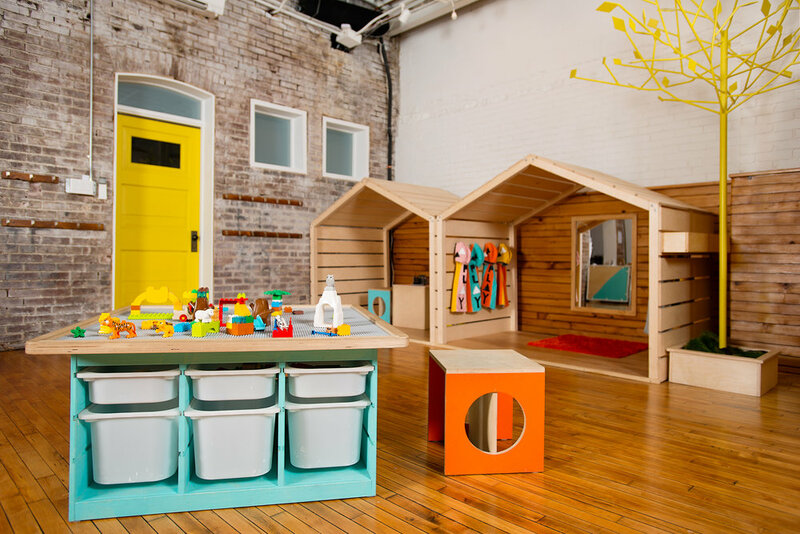 A comfortable area with softer toys is sectioned off for infants and nursing moms. PlayArts offers classes and services for children ages eight weeks through eight years. We pride ourselves in providing a space that appeals to a wide range of developmental stages and do not exclude children based on age. We ask, however, that caregivers of older children monitor them closely and always consider the safety and well-being of the smallest and youngest members of our community. You are responsible for your child at all times. Keep an eye on your child and be aware if they need a break or help navigating a challenge. Parents of toddlers attending “drop-off” classes (where parents are not required to be in the classroom with their child) must remain on premises. We strive to maintain cleanliness and limit outside contaminants entering our space. Please place your shoes on the shelves located inside each entrance. Socks are optional in the building, and it is often best for children to remove socks. We have non-slip socks available for purchase upon request. While we are open every day of the week, we occasionally need to adjust our schedule due to holidays, inclement weather, unexpected circumstances or special events. Always check our website to verify we are open before visiting. We will do our best to communicate any schedule changes promptly to our clients via the website and email lists. Please bring strollers to the rear entrance on Lee Street. We have a limited amount of stroller parking available inside the building in the rear foyer and hallway. We encourage you to fold up your stroller or lock it up outside on our bike racks when possible. Our goal is to accommodate the needs of everyone who would like to visit us. The rear entrance on Lee Street is wheelchair accessible and our bathrooms, play area and classrooms are all ADA compliant. 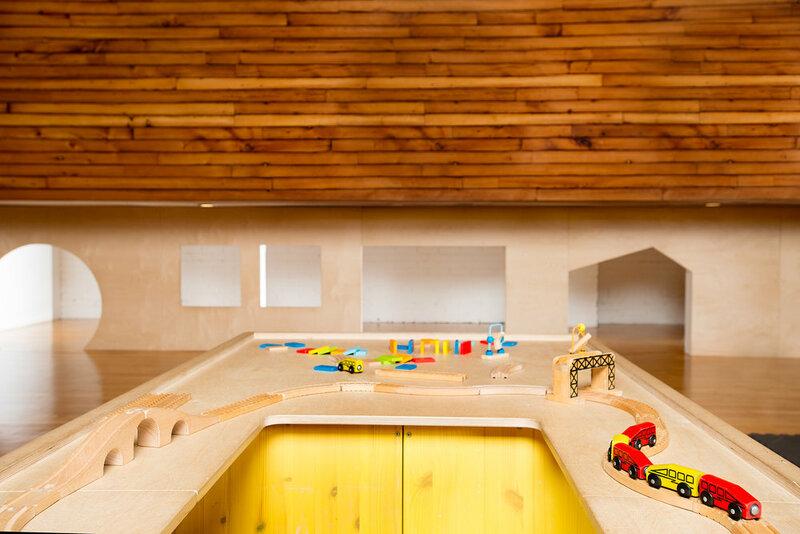 We regret some areas or play structures in the building may not be accessible to every guest. Feel free to contact us in advance of your visit if you have questions or if you’d like our staff to be aware of any specific needs. We are not responsible for lost, damaged or stolen items. Unclaimed items left in our space are periodically donated.